A zillion years after its 1950 introduction, the iconic VW hippie van is still rolling off the production line in Brazil. 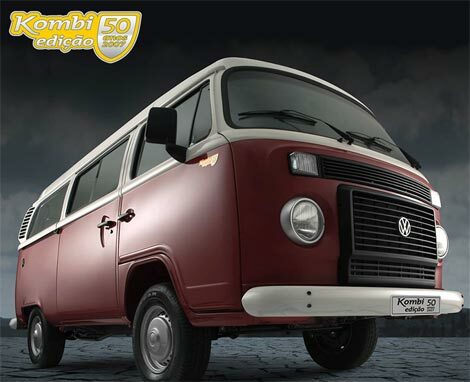 Known there as the Kombi, it features a rear-mounted 1.4L water-cooled "Total Flex" engine which replaced the original air-cooled design in 2006. The modern multi-fuel engine produces 78 hp when running on gasoline and a whopping 80hp when sipping ethanol. Alas, the new black plastic radiator grill makes it look like it's wearing the automotive equivalent of a fake beard. 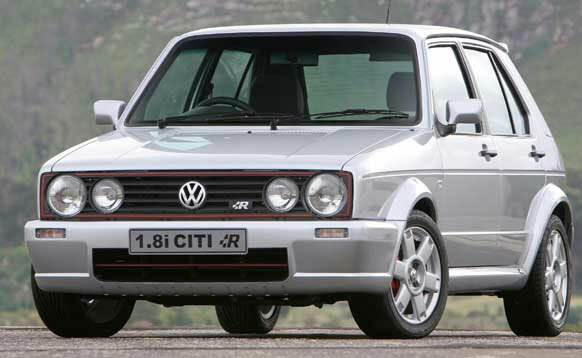 Not to be outdone, VW South Africa continues to build an updated version of the Golf Mark 1 hatchback, with prices starting at a shockingly reasonable R74,400.00 ($7500). Sold as the Citi, it's built using tooling rescued from a plant in Pennsylvania, USA which ceased production in 1984.